If you’re traveling solo for the first time abroad and you don’t know where to go, I would recommend that you choose Taiwan. Yes, I did Vietnam and Cambodia in my lonesome, but I find traveling Taiwan easier than those two. Why? Because first of all, Taiwan is a first world country, which means everything is fast and convenient; they have an efficient MRT train system, beautiful parks, convenience stores everywhere, clean surroundings, and a mix of modern and old architectures. Communication is also easier because even when the signs are in Chinese they also provide the English translation, plus the locals speak better English than Cambodians and Vietnamese. In this article, I will share to you my 4D3N itinerary in Taiwan. 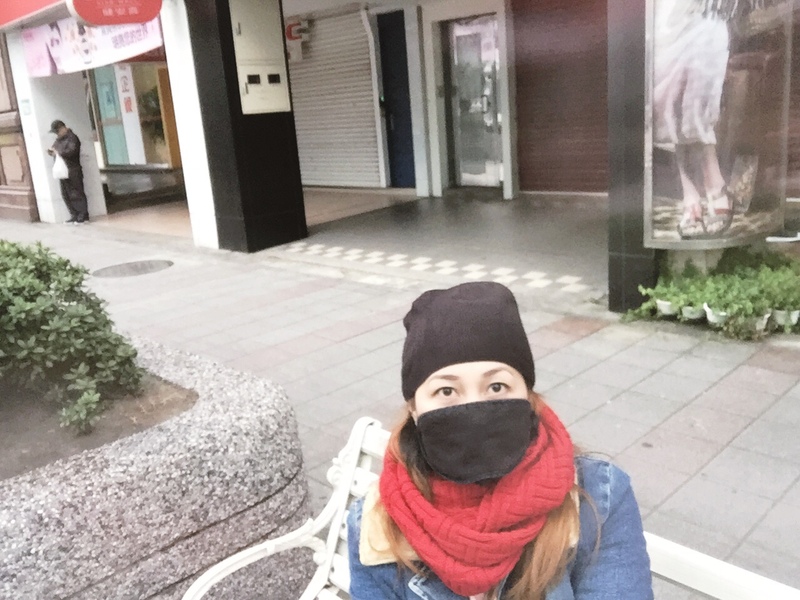 The coldest season in Taiwan happens from December to February. Needless to say, I arrived to a freezing cold Taipei. If you’re going in this time of the year, be sure to wear winter clothes. Gloves, face mask, boots, beanie, and scarves did a ton of difference in helping me fight the cold. Do not expect snow in Taipei; if you want to experience snow in Taiwan, you have to go up in the mountains at the Central Mountain Range. If you don’t mind staying away from the central part of Taipei, you may want to consider staying at Happy Taipei Hostel in Shilin District. You can stay in a dorm room for as low as PHP 573.38 (USD 11.43) per night. That’s the rate for their mixed dorm where I stayed; slightly cheaper than staying in an all-female or all-male dorm. The good thing about this hostel is that they allow early check-in as soon as their office opens at 9:00 a.m. provided they have an available bed in the room. 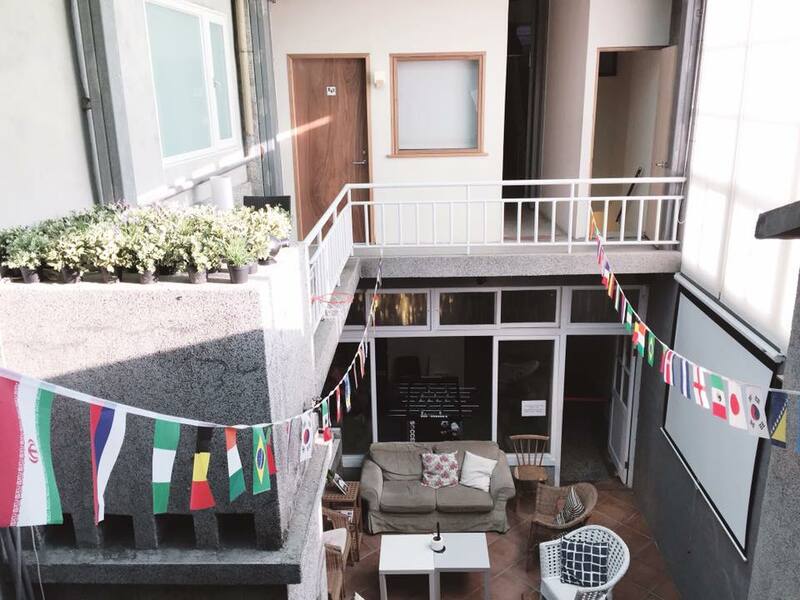 Read my review here → Where to Stay in Taipei: Happy Taipei Hostel. There are three modes of public transportation in Taiwan; taxi, bus, and train. I never rode a cab while I was there and stuck to the cheaper options, bus and train. The MRT train of Taipei is the most convenient way to get around. I recommend that you take the MRT; it is not as complex as the Japan railway but just as efficient. 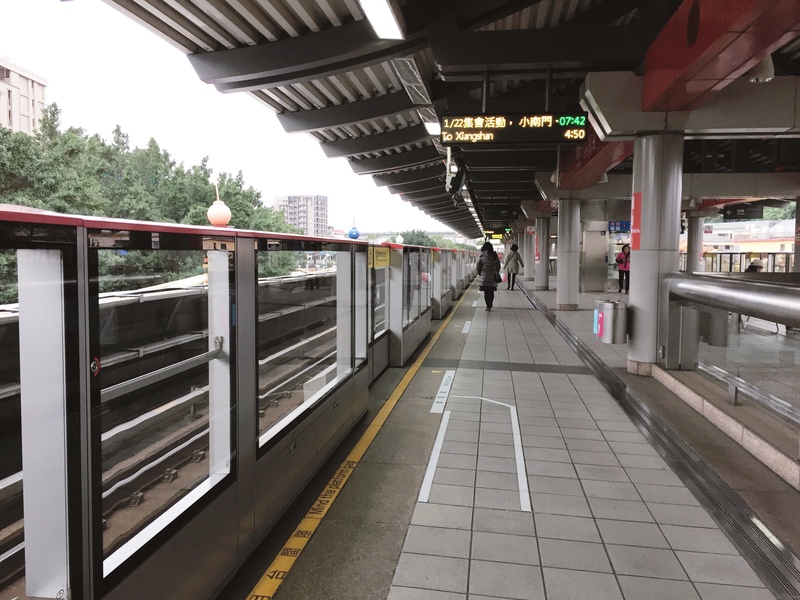 I made a post that shows how to use the MRT just click the link here → A Simple Guide to Taipei MRT System. The travel period of my Taiwan trip is January 20-24 but my flight arrival and departure were scheduled so late in the night that I only had 3 days to explore. To be honest, I didn’t have a set itinerary; I never made a habit of creating one in all of my solo travels. So this itinerary is the result of my anything-goes approach to traveling. My first day was pretty relaxed. After checking in at my hostel, I took the MRT to Sun Yat Sen station to meet a friend. Together we had coffee, explored Sun Yat Sen, and walked until we reached Taipei 101 (which we only admired from the outside). Learn about Sun Yat-sen and another famous memorial hall in Taipei, Chiang Kai-shek here → Taipei’s Memorial Halls: Sun Yat-sen and Chiang Kai-shek. Prior to my trip to Taiwan I found Tourmeaway online and booked their Taipei Chill Out tour. Tourmeaway offers free walking tours in Taipei. Just by walking with their 3 guides and fellow tourists, I was able to see more of Taipei. We were taken to Daan Park, The Heaven Road, Qing Tien Street, Antique Market, Yongkang Street, and Chiang Kai-shek memorial hall. To know more about this tour, click here → [Discover Taipei with TourMeAway]. It’s my last day in Taiwan and I dedicated it to visiting Jiufen. I had a little misadventure due to some bad decisions but I am hoping that by sharing my experience, you will get there without hassle. 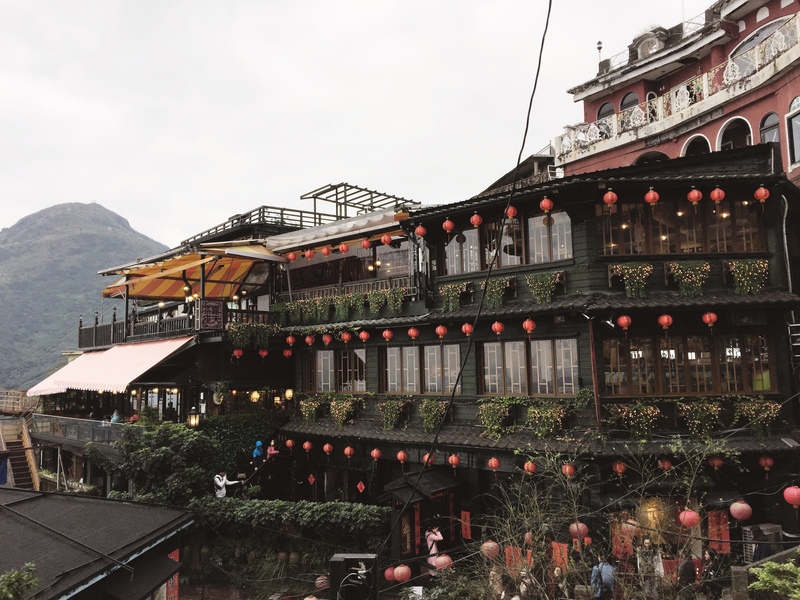 To read the story click here → Here’s the Easiest Way to Reach Jiufen. More than sightseeing, the best thing to do in Taiwan really is to go on a food trip. They have many night markets where you can find some of the most delectable dishes! I was able to try food from Yongkang Street, Shilin Market, and Jiufen. 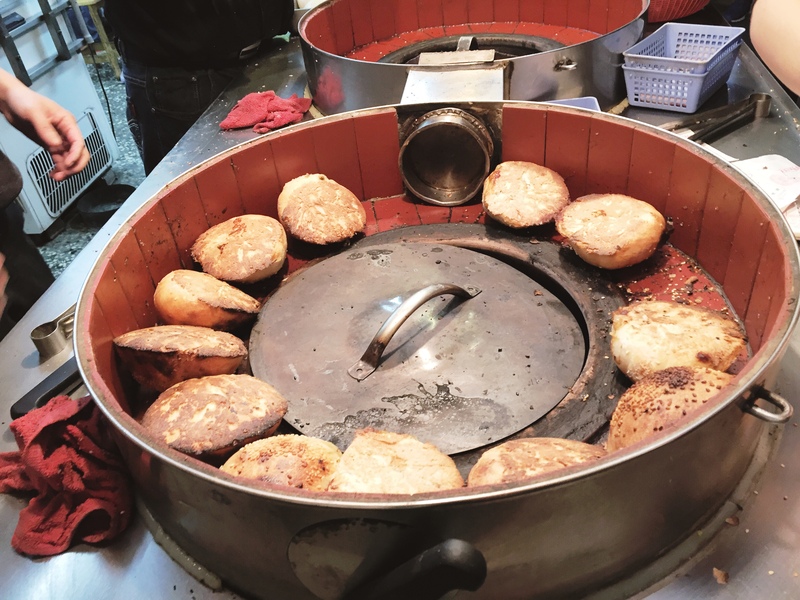 To know Taiwan’s must-eat food, check out this article → Taiwan Must-Eat (Diet Another Day). Being a solo traveler and a direction impaired, I always stop random people on the street to show me the direction. Three times, I encountered locals who cannot speak English but it didn’t hinder them from helping me. A woman lets me hitch on her scooter and delivered me to the spot where I was supposed to meet the staff of my hostel. A teenage couple helped me find the bus that goes to the airport. And this guy (pictured below), who couldn’t express himself in English walked with me instead to the Ruifang station. I am amazed that the Taiwanese people would go the extra mile to help tourists like me and for this, I am very grateful. So this sums up my Taiwan trip. I hope that you will find this guide useful when you decide to visit Taiwan. It is an amazing country and I cannot wait to go back. You don’t have to worry about dining, food there is generally inexpensive. I described myself as a somewhat budget traveler because when I am not as tight as the legit budget travelers are, but I also don’t go overboard like the luxurious travelers. Definitely, you can travel Taiwan alone; it’s safe, cheap, and it’s a beautiful country. I created a PDF copy of my Taiwan itinerary. You can download the file below ↓. 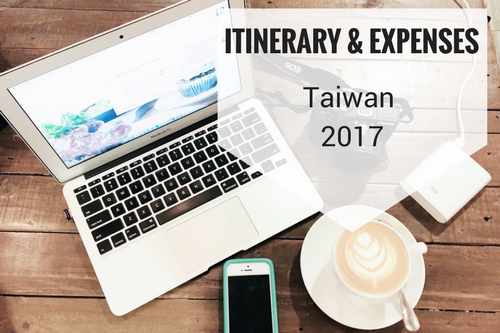 You may view or download my itinerary for Taiwan trip by clicking the image below ↓. Fantastic article!! Informative, easy to read, excellent information. I am getting gathereing info about Taiwan for my first solo trip and this article is just what I needed! Thanks!! Wow that’s very cheap! Enjoy your Taiwan trip! Don’t forget to try their street food. From your suggestion I think one can definitely muster up courage to travel solo in Taiwan. The progress there assures a comfortable safe journey! What else can one want! How I wish I could file a vacation leave just to visit Taiwan! Ang hirap po kasing mag-file ng leave (you know, government stuff. Andami pang papers lalo na ‘pag international travel.) Will be bookmarking this, ate, so that I would have a guide if ever I will be going there! Weeeee! I am not a solo traveler and always love to travel with my husband or friends. Looking at the points you mentioned, it can be a good option for the first time solo traveler but I can travel as a couple to Taiwan. Your itinerary is really good. I will add this place to my travel bucket list. Thanks for sharing. Also, one of my weaknesses as a solo female traveler is I rarely ask someone for help. I try to figure things out the hard way. (I’m stubborn that way.) But wherever I go, someone always notices when I get flustered, they would reach out and show which way to go or how to do it. Maybe next time, I should try asking. LOL. I had always heard about Taiwan for its electronic goods. Your blog brings out the tourism perspective of Taiwan very well! It’s a well written article that is concise and neat to read! I never gave it a thought to travel to Taiwan solo, but this article has given me some goals. The itinerary is worth following. The travel guide is amazing and I am going to bookmark it for future. Great that you shared all the details, including the cost. And also called out where others can learn from your experience and do better. I don’t travel solo. But I am sure I can use information from here to plan my trip if I happen to be in or around Taiwan. This is perfect. We hope to visit Taiwan later this year and this travel guide is a huge help. Taiwan sounds really affordable too. P.s. I love the blog theme you’re using!